Your kidneys are two bean-shaped organs located near the middle part of your back that play a vital role in keeping you healthy. 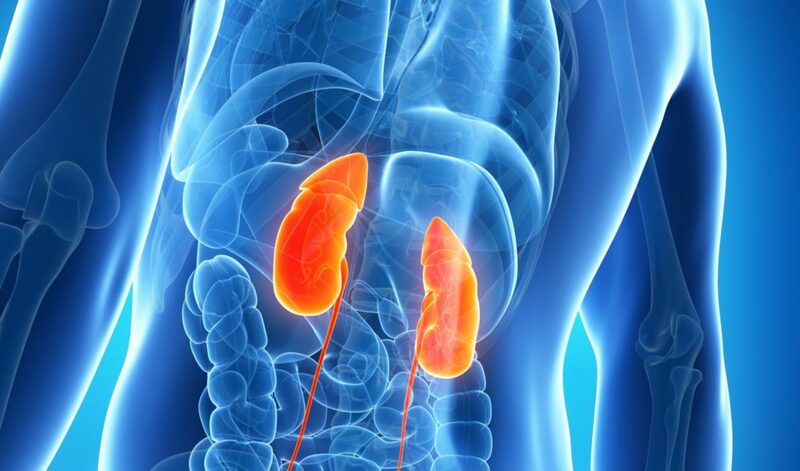 Your kidneys are a key organ of detoxification, helping you filter your blood and removing water-soluble waste products from your body through urination. Your kidneys also regulate the flow and balance of fluids in your body. They balance your blood pressure by maintaining the salt and water balance, along with your body’s acid-alkaline balance (pH) by selectively filtering out or retaining various minerals and electrolytes. They also control the volume, composition and pressure of fluids in all of your cells. Blood flows through your kidneys at its highest pressure – over 200 quarts per day – filtering out toxins and directing nourishing materials to where they are needed. For example, your kidneys help reabsorb water, glucose, and amino acids and also produce hormones like calcitriol, erythropoietin, and the enzyme renin. It is important to support the detoxification pathway of the kidneys because when your kidneys are overburdened, it will impair other detoxification channels. Similarly, when other detoxification organs get overburdened, as often happens with the liver, excess toxins are rerouted to the kidneys, placing an extra strain on their capacity. Poor kidney function can also contribute to kidney stones where mineral or protein-breakdown products in the urine solidify and block urine flow, contributing to intense pain in the side or lower back. Kidney issues also contribute to urinary tract infections. The kidneys can also hold onto feelings of fear and paranoia which can impair function. In Chinese medicine, the kidneys are considered the seat of courage and willpower. Water is symbolic of the unconscious, our emotion and of that which we do not understand and that which we fear. Swelling from water retention, or “edema,” especially around the legs, ankles or feet. Labored breathing due to fluid accumulation in the chest cavity. 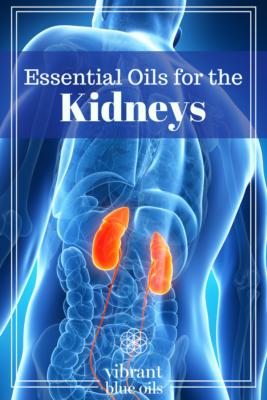 Topically applied essential oils for kidneys can be a powerful tool to help strengthen kidney function. 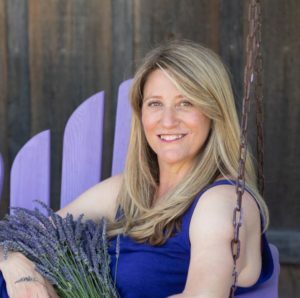 For example, several essential oils possess natural diuretic and anti-inflammatory properties and may help enhance your body’s efforts to maintain proper fluid balance, support bladder function and aid overall urinary health. In fact, research demonstrates that essential oils can significantly relieve symptoms of kidney disease. Essential oils can increase the flow of bodily fluids, such as urine, to help flush excess water and toxins from the body. This is especially helpful if you suffer from edema or swelling due to excess water accumulation. 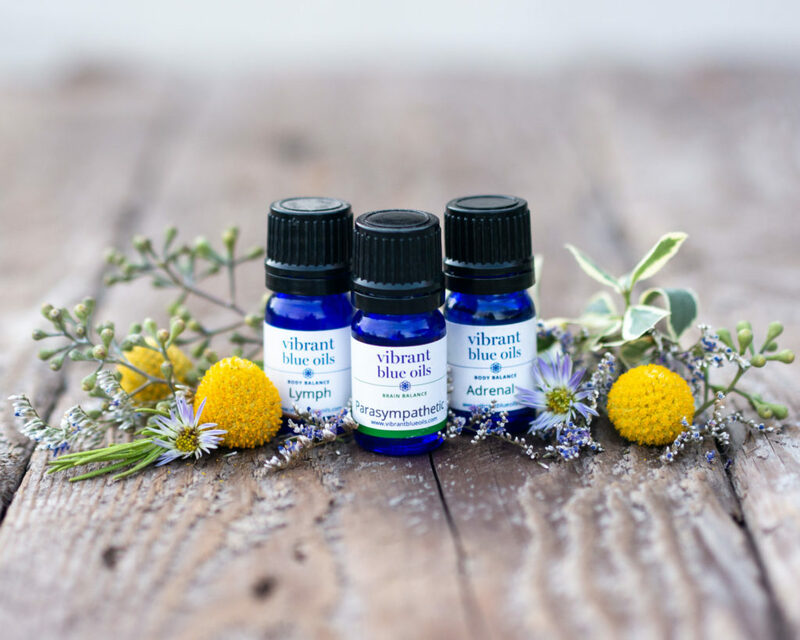 Essential oils for kidneys also possess antiseptic qualities that are helpful in preventing kidney inflammation and relieving urinary tract infections. Kidney Support™ is designed to help you strengthen your kidneys and cleanse your urinary tract system. Kidney Support™ applied over the kidneys (lower back, size of a fist starting at bottom rib), over the forehead or around the outside of earlobes can help support the kidney’s optimal function. When your kidneys aren’t properly managing the flow of fluid, it can present as bladder issues, including urinary tract infections (UTIs). Research studies suggest that essential oils may help treat or prevent UTIs. For example, the antibacterial properties of clove oil (contained in Parasympathetic™ blend) may help to kill bacteria involved in UTIs, particularly when the bacteria have become resistant to antibiotics. Supporting additional detox pathways: Your organs of detoxification work together to help eliminate toxins from the body. If one of your detoxification organs is overburdened, your kidneys will help take up the slack. To lessen the burden on your kidneys, it helps to support your other detoxification organs including your liver, gall bladder and lymphatic system. Read More about Opening Detoxification Pathways HERE. Helichrysum™: works as a natural anti-inflammatory that may help detoxify your kidneys and reduce the risk of developing kidney stones. Helichrysum™ possesses diuretic qualities that can help move water through the body, making it easier to help pass the stones. Apply Helichrysum™ over your lower abdomen twice daily for best results. Electrolytes: It helps to support the kidneys with electrolytes. Electrolytes, particularly sodium, help the body maintain normal fluid levels with helps the kidneys. I recommend the brand Matrix Electrolyte. Binders help protect your kidneys by routing the majority of the toxins out through the gastrointestinal system in the feces, rather than excreting them through the kidneys in the urine. When we detoxify, we need to make sure that the toxins are not only mobilized, but actually leave the body. In order to leave the body, toxins travel through the liver, where they travel to the small intestine in the bile. If the toxins are not bound to anything, most of them will get reabsorbed in the gut and possibly rerouted to the kidneys for elimination. Binders are substances that ‘bind’ to toxins to help move them out of the body. They work by attracting or trapping toxins to prevent them from re-circulating and ensure that they are transported out of your body. Read More about Binders HERE.